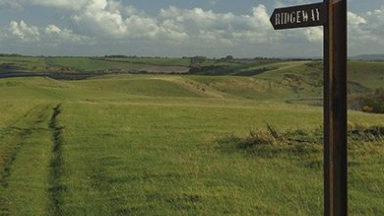 Guidebook to the Ridgeway National Trail, an 87 mile (139km) route through the south of England from Avebury in Wiltshire to Ivinghoe Beacon in Buckinghamshire. Accompanied by a pull-out 1:25K mapping booklet, this guidebook details the trail in both directions and features information on historic sites and facilities along the way. 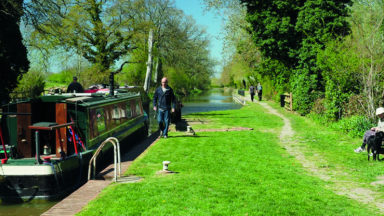 This guidebook - which includes both a guide to the route and a separate OS map booklet - describes the Ridgeway National Trail, an 87 mile (139km) route through southern England from Avebury in Wiltshire to Ivinghoe Beacon in Buckinghamshire. 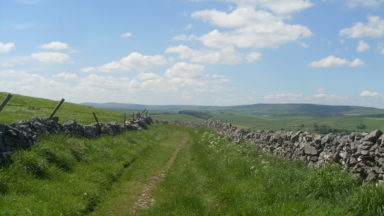 Typically walked in 6 or 8 days, this is a low-level waymarked route suitable for all abilities and for year round walking. The guidebook details the trail in both directions, west to east and east to west. Step-by-step route descriptions are accompanied by 1:100,000 OS mapping and a separate OS 1:25,000 map booklet showing the entire route is included. Packed with details on points of interest and a trek planner giving at-a-glance information about facilities, public transport and accommodation available along the way, this book is an indispensable guide to walking this national trail. 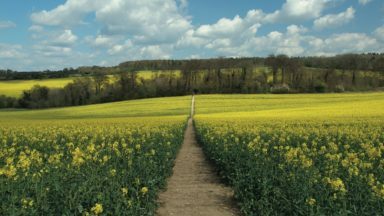 Following a ridge of chalk hills through the Chiltern Hills AONB and North Wessex Downs AONB, the Ridgeway takes walkers through five counties and five thousand years of history. It offers a scenic and fascinating journey through our ancient and more recent past, visiting the UNESCO World Heritage Site of Avebury's Neolithic stone circle and the famous Uffington White Horse, and includes excursions to picturesque villages, thatched cottages and cosy pubs. Pick and choose a section for a day walk. This guidebook covers the Ridgeway National Trail, an 87 mile (139km) route through the south of England from Avebury in Wiltshire to Ivinghoe Beacon in Buckinghamshire. Comes with a pull-out 1:25K mapping booklet, and details the trail in both directions featuring information on historic sites and facilities along the way. 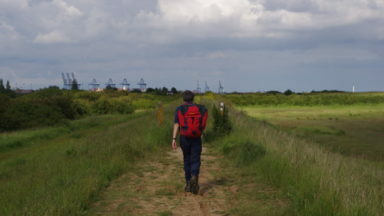 To walk the whole route in one go would typically take 6 – 8 days, and author Steve Davison describes the walk as “A lowlevel waymarked route suitable for all abilities and for year round walking”, however the walk is also broken down into 12 sections so if you wanted you could pick and choose a section for a day walk. My favourite of the many walking guides to The Ridgeway on the market. When I reviewed the first edition of this book three years ago I chose it as my favourite of the many walking guides to The Ridgeway on the market. The reasons I favoured it then remain with the second edition – it is a handy size (it will fit into the pocket of your anorak), it describes the route in both directions, the text and the mapping are clear (I always favour OS maps in preference to sketch maps) and it contains much useful advice on planning your walks along the Trail. It gives a good overview of the history of the route, its plants, wildlife and geology, accommodation and transport links. 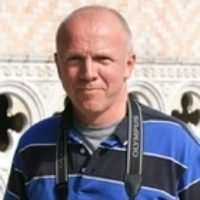 Steve Davison makes a very agreeable walking companion – throughout the guide he provides interesting snippets of information about places on and just off the route and there are ample excellent photographs (taken by Steve, I believe). The second edition contains a few necessary updates to reflect changes over the past three years and includes a handy route planner that I have used with a friend who plans to walk half the Trail later this year. It worked well! However the big difference comes with the provision of a separate route map booklet showing the complete Trail on 1:25,000 OS mapping. This slim and light booklet would be quite adequate to carry with you when walking The Ridgeway and obviates the need to purchase and carry the four individual OS maps you would otherwise need. It is printed on quality paper that looks to me to be capable of resisting the odd shower. The guide and booklet are bound together in a clear plastic cover that certainly would help keep both dry should the rain begin to penetrate your anorak pocket or rucksack. The provision of the map booklet comes at a price, with the second edition being some £4 more expensive than its predecessor. To my mind it is well worth it. If anyone who bought the earlier version wishes to update it, the map booklet is available to buy separately. 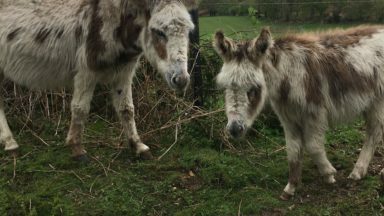 The Ridgeway National Trail: Did you know?